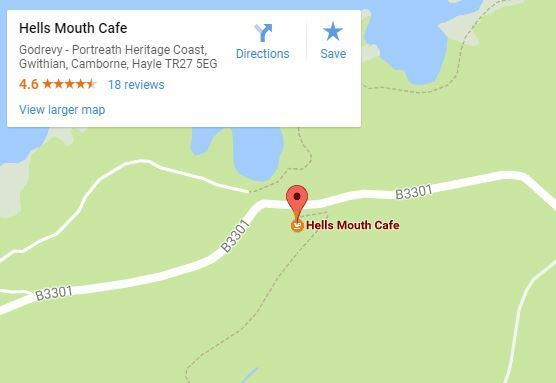 On the coast of Cornwall, you’ll find Hells Mouth Cafe. Hells Mouth Cafe is one of those hidden seaside gems, but it’s always busy with walkers, tourists, cyclists and bikers alike. The extensive menu at Hells Mouth makes it so popular due to all the food being prepared and cooked freshly for each order meaning any meal can be tailored to your needs. If you;re a big fan of fish then make sure you check out their fish menu, there’s always something new! There’s plenty of indoor and outdoor seating which overlooks the sea and with a short walk down the cliff path you’ll be able to enjoy the seaside!